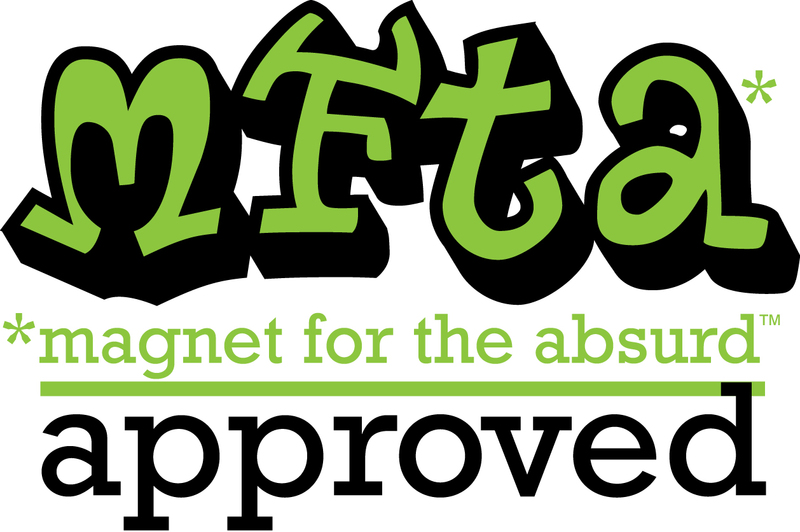 ← The Best Garbage Ever! There are days when everything is funny. These are the days I live for. It could be the people that I know, the fact that they are also Magnets for The Absurd, or perhaps the universe has sympathy on us poor working slobs on a rainy Monday morning. But this. THIS. This one made me laugh so hard. Which, btw, is the tagline for this blog. So here goes. A big thank you to Wendy for posting this one. It would seem that Bart Jansen’s poor kitty was killed by a car. So what did he do? Did he spend his days sobbing. Oh no, no, no. 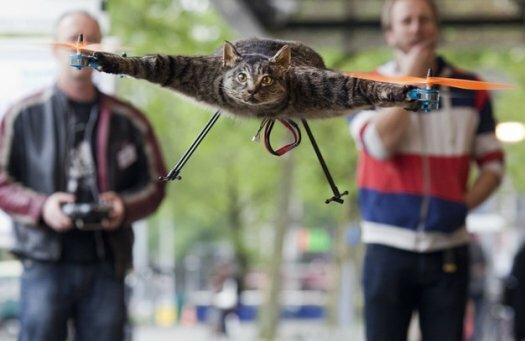 In the spirit of turning lemons into lemonade he turned his kitty into a kittycopter! Um, yes, folks, good old Bart stuffed his deceased feline and converted Orville into a radio-controlled copter. When you think of it, why bury, cremate or toss a perfectly good dead cat when you can fly it around your yard for hours of entertainment? And then post it on YouTube so the whole world could enjoy your pet. I like to think of this as extending the pet value. This has the flavor of a good B. Kliban drawing. (please click that link and note the url for a little more kitty humor). Is this disrespectful to the pet or the ultimate tribute? Can you imagine the conversation at the taxidermist’s shop? You want him in WHAT position? Might I ask why? Oh, a kittycopter… that’s a cool idea. I would think that taxidermists are not all that easily shocked; they must have the most disturbing requests. Hmmm… maybe I should start a taxidermist blog and interview them all over the country. Sorry, I digress. Of course there is video. When I clicked to watch there were only 301 hits. I predict this sucker breaks 100,000 in no time. I am sure I will be good for at least 50 myself. And if you are wondering, yes, I did watch the full 3:34 of this. The landing was the best part outside of his adjusting the little copter propellors. Oriville the kitty? I heard his dog Wilbur has been crossing the street very carefully in fear of becoming the next victim of radio-controlled absurdity. Happy Monday all. Hope you had a good laugh.